The East Cleveland Villages Big Local investment by the National Lottery will make significant contributions to our communities, our collective wellbeing and our aspirations both to celebrate our vibrancy – even in difficult economic times – but also to showcase the potential we have well beyond our region. This heritage and archaeology project aims, at its core, to recognise our long, shared past as a key component to understanding how and why we are all here, why we thrive, how we have endured, and why our area is very special on a national scale too. We have a very real prospect of demonstrating an even richer value beyond – and this is in no small part of where ongoing ventures at Street House (Loftus) continue to surprise in our discoveries and uniquely nuanced north-east place in a bigger world. We should not be surprised to add to our reputation in the areas we intend to focus on in this project. The hints, by careful research and observation, are more than there! The Eston Hills dominate today’s industrial landscape of the Tees estuary and the rugged coastline of north-east England. The community moors and woodlands are a wildlife haven that also bear testament to human endeavour since the end of the last Ice Age – 12,000 years ago and up to the industrial revolution – iron, coal, potash, ship-building, petro-chemical and steel. ICE AND FIRE is a community project which aims to explore, record and celebrate the evidence for over ten thousand years of human life, death, ingenuity and persistence. The hills belong to the community of Teesside as a tranquil haven away from the bustle of modern life. Tragically, they are also plagued by acts of vandalism, illegal off-roaders – and arson. The wetlands, which preserve evidence for past environments, are being irreparably damaged and the moorland is scarred by vehicle tracks where proven features are being damaged and artefacts are eroding to the surface. Until recently, the lowland and wetland areas in the Vale of Guisborough, to the south of the Eston Hills, were assumed to be peripheral to the upland areas in prehistory. Crop marks and field-walked finds were limited to Iron Age and Romano-British periods, such as Dixons Bank, Marton, and around St Mary’s church close to old Nunthorpe village. However, a combination of previously unrecorded field-walking finds and renewed fieldwork between 2011 and 2014 around Upsall Grange and Morton Carrs now indicate lithic finds and clusters of knapping debris – largely flint – dating to the Late Mesolithic (8000-3800 BC) or Early Neolithic (3800-3500 BC) period, with some isolated later artefacts dating to the Late Neolithic and Bronze Age. While a significant portion of the surviving (drained) wetland was used as a landfill in the 1980s, it is hoped that sufficient waterlogged deposits remain for auger-coring in order to recover peat and pollen so that we can look at the past environment, vegetation and human disturbance. In September 2014, a small team of volunteers walked 10.8 hectares and recovered 74 lithic artefacts, in addition to previous finds, which were 3D GPS-recorded by Jim and Paul Brightman (Solstice Heritage). 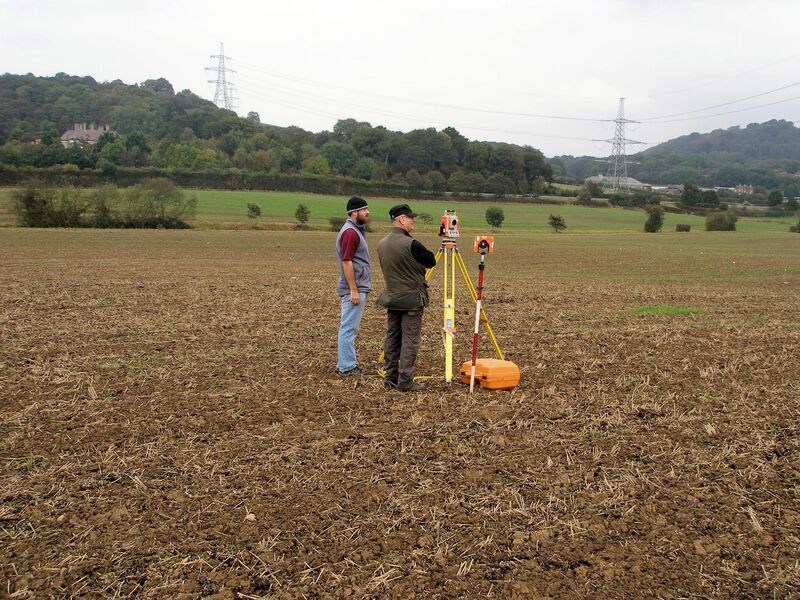 Walking in 2m interval lines provides 100% surface coverage after weathering of the ploughsoil. The finds are presently being analysed and catalogued. Historic Environment Records (HER) will be updated in due course so that the archaeology and environmental information are available to inform future land management and planning decisions. We hope to continue work in the area in the near future so that we can understand a far broader range of activities and movement corridors in a resource-rich and diverse landscape.